Yale University’s Department of Anthropology was officially founded in 1937 and traces its origins of research and teaching to work done within the Peabody Museum of Natural History (1866) and the Institute of Human Relations (1928). The Department is home to over 30 faculty and nearly 120 graduate students and undergraduate majors. The Director of Graduate Studies is David Watts. The Director of Undergraduate Studies is William Honeychurch. Contact information for Academic Directors can be found here. 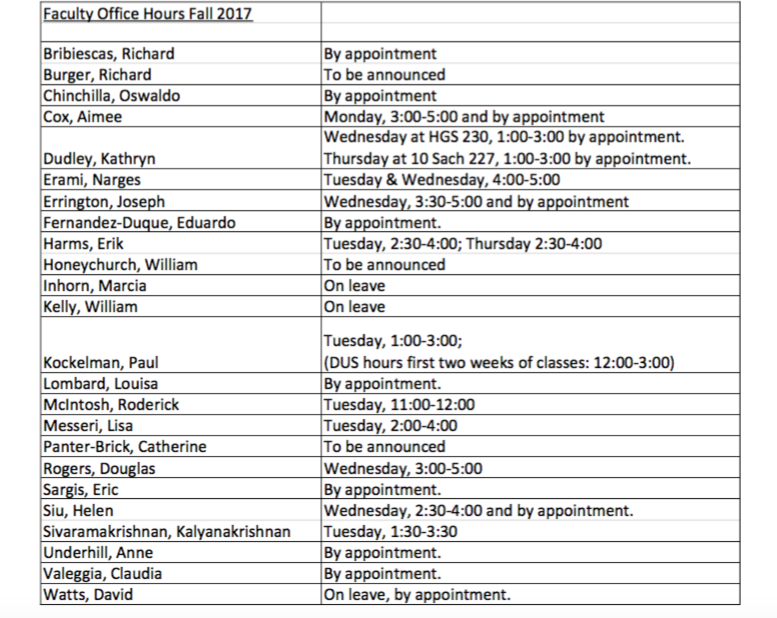 Faculty office hours for fall 2017 can be found here. Professor Helen Siu is the co-editor of the newly released book Asia Inside Out: Itinerant People. To learn more about the book, please visit the website. New from Professor Jessica Thompson: "Origins of the Human Predatory Pattern: The Transition to Large-Animal Exploitation by Early Hominins"